It has been a long time since I’ve created a Sudoku game to share with my readers. 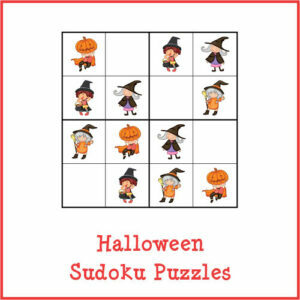 But with Halloween approaching, I thought it would be the perfect time to celebrate pumpkins, witches, and haunted houses with my Halloween Sudoku game. Sudoku is a great way to exercise one’s brain with fun, engaging, puzzles that stimulate critical thinking and cognitive skills. 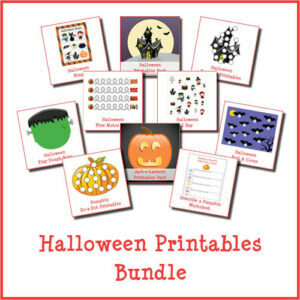 I hope your kids will enjoy my Halloween Sudoku puzzles while they give their brains a workout. I used to be a total Sudoku fanatic, although I rarely get to play anymore. Nonetheless, the goal of Sudoku is to fill in a 9×9 grid such that each row, column, and 3×3 sub-grid includes one and only one of each digit from 1 to 9. Depending on the number of blank spots in the Sudoku puzzle, the difficulty can range from quite easy to extremely challenging. 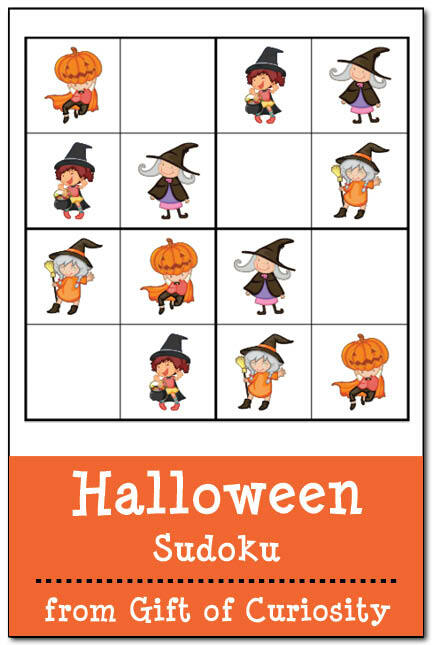 In the Halloween Sudoku Puzzle I am sharing today, I have made the game kid-friendly by adapting it to use pictures instead of numbers. Plus, I have shrunk the playing board to a 4×4 grid in order to make it appropriate for young children. Want a copy of my Halloween Sudoku? Really cute! I had to stop by from Mom’s Library to see who made these 🙂 Pinning. I am CRAZY about Sudoku! What a fun idea for the kids!